Concomitant use of a common antibiotic and muscle relaxant may lead to a serious fall in BP. The commonly used muscle relaxant tizanidine which when used in conjunction with Ciprofloxacin can lower blood pressure drastically. Tizanidine is used to treat muscle spasms caused by certain conditions such as multiple sclerosis, spinal cord injury and general injuries of the musculoskeletal system. Tizanidine does not cure these problems, but it may allow other treatment, such as physical therapy, to be more helpful in improving your condition. It works by helping to relax the muscles. Ciprofloxacin is used to treat a variety of bacterial infections. Ciprofloxacin belongs to a class of drugs called quinolone antibiotics. It works by stopping the growth of bacteria and is bacteriostatic in nature. Doctors should be aware of the risk and should, therefore, avoid co-prescription of muscle relaxant tizanidine and antibiotic ciprofloxacin. All the major classes of antihypertensive drugs have important interactions with other drugs, but these are seldom important with recently approved antihypertensive drugs. Tizanidine is metabolized by the enzyme CYP1A2, and concurrent use of tizanidine and a CYP1A2 inhibitor, such as ciprofloxacin, greatly increases tizanidine plasma concentrations. Despite package insert warnings, tizanidine and CYP1A2 inhibitors are commonly co-prescribed. 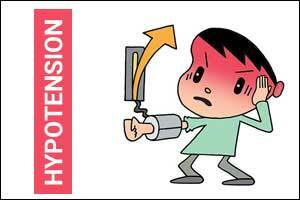 It is therefore important to consider drug interactions when the cause of hypotension is unknown. Useful tips. But is this muscle relaxant available in India.